Visit your child at school and observe the entire situation yourself to make a hands-on assessment. Observe the overall atmosphere of the school and your child’s role in the class, playground and with his teacher and fellow students. Notice how the teacher reacts to your child’s participation (or lack of it) in the class and with other students. 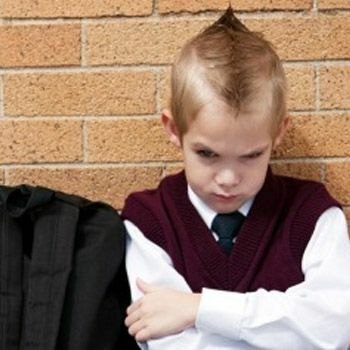 Is the teacher very authoritative or bully? Does he pay individual attention to the students? Does he encourage a well bonded teacher-student relationship? After analyzing the situation, you will have the idea where the problem stems from. Is your child too revved up to pay attention in the class and needs other means to vent his energy? Discuss with the teacher and explain child’s personality. The teachers, you will notice, are willing to go out of the way to help your child. Part of the problem, you will notice, will be your child’s behavior as well. This is where your parental advice session should start. Encourage, and not egg-on, your child to pay attention, be friendlier, interact in class and give you the daily report. Do not criticize because your child is already going through a tough time. Appreciate him a little more than is needed. It really works. Educational consultant will devise an educational plan for your child and provide educational assistance that will help your child gain his confidence and perform well. These consultants can be accessed in every school.